Introducing Rope Skipping Alberta's Judging Coordinators! Rope Skipping Alberta is pleased to welcome Jodi Harrison and Myles Bogstie as the Judging Coordinators for the 2017-2018 season. Jodi and Myles will be collaborating to develop an annual plan for the training of judges in Alberta that adheres to the budget approved by the Board of Directors. This includes exploring ways to integrate opportunities for web-based training opportunities through the use of technology. They will be available at competitions to resolve judging concerns, and will review the score sheets and assess the performance each official prior to returning the score sheets to the teams. 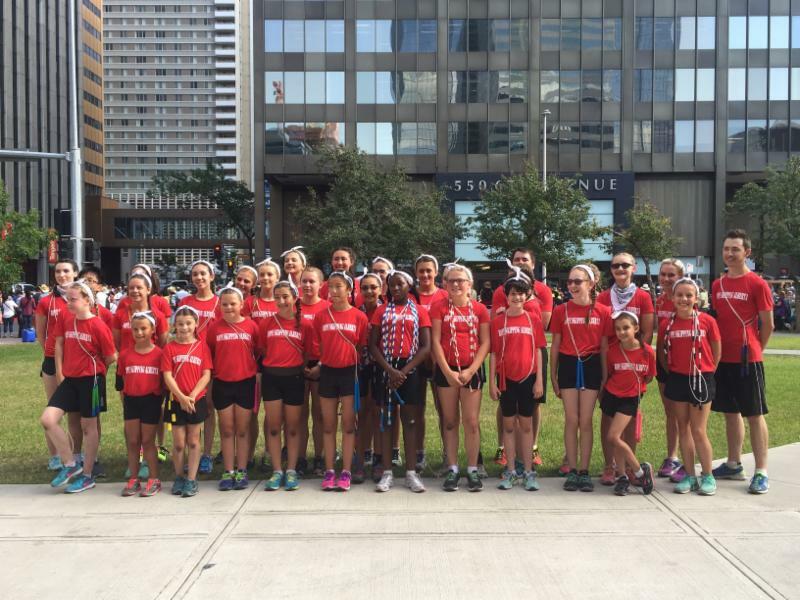 Rope Skipping Alberta is thrilled to have their experience as athletes, coaches, and judges! World Jump Rope Champions: Medals for Alberta! Rowan from Skip Time placed 3rd at World Jump Rope Championship in Florida for his Masters Freestyle routine in 13/14 male category!! Congratulations Rowan! You make Alberta and Canada proud!! 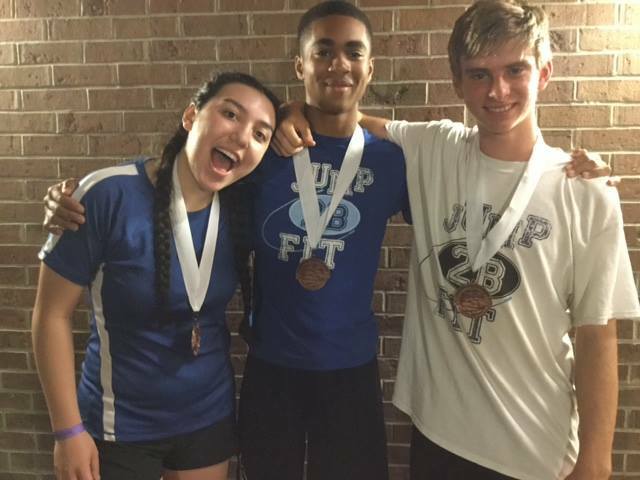 Chloe, also from Skip Time, earned a bronze medal at the World Jump Rope Championship! She teamed up with the Bermy Bouncers (from Bermuda). She competed with them in 15-16 year old category 3x40. Great job! I am inviting former Rope Skipping athletes ages 13 years and older who live in Canada to take part in a research study to determine why Rope Skipping athletes decide to retire from the sport of Rope Skipping. If you agree to take part, you will be asked to complete a questionnaire that will take approximately 3 minutes of your time. The survey will ask about your gender identity, the age that you started and stopped participating in Rope Skipping, and your reasons for stopping Rope Skipping. There are no known risks for taking part in this study. 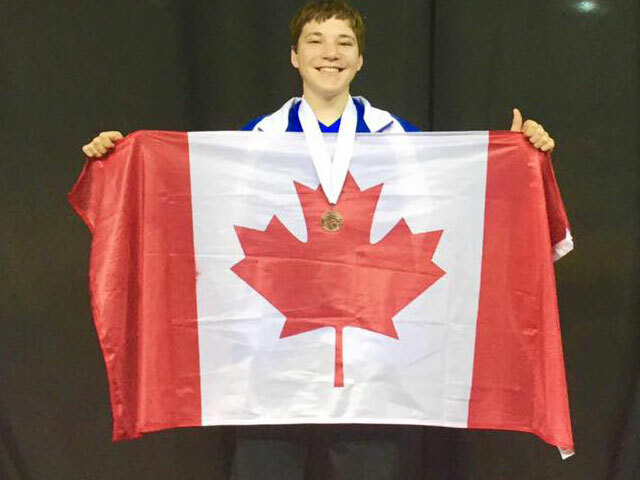 While there are no direct benefits to you as a participant, study results may help improve Rope Skipping programming in Canada, and therefore may improve other athlete’s Rope Skipping experiences in the future. There is no obligation for you to say yes to take part in this study. You do not have to answer any questions you do not want to. You can stop participating at any time without penalty. 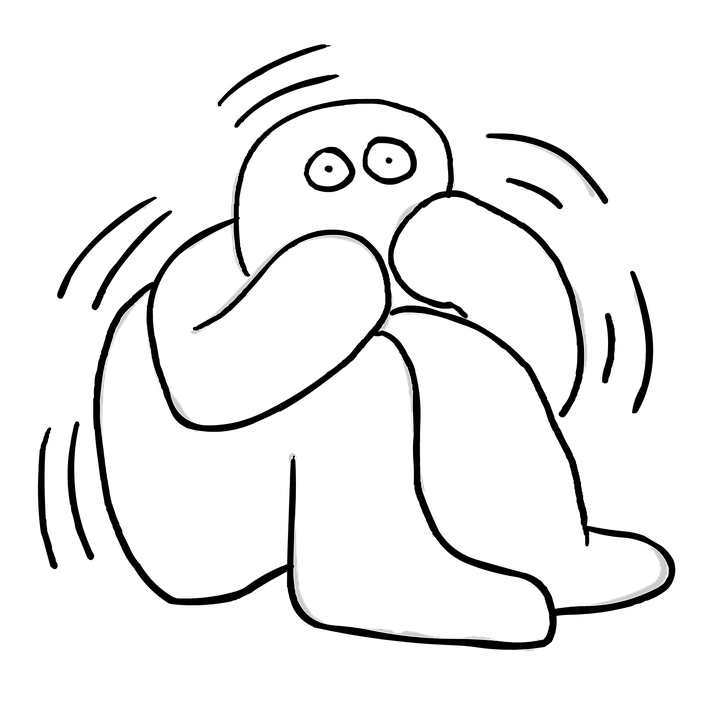 Except when required by law, such as when there are reasonable suspicions of child abuse, neglect, or risk of harm, this information will be kept confidential to the extent possible. At no time will your name or other identifying information be collected from you. I will keep your data securely for at least five years. I hope to publish the results of this study in academic journals and present them at conferences. For taking part in the study, you will be entered into a draw for one of two $50 iTunes gift cards. To participate in the study, or for more information about the study, click here. Coach Initiation in Sport - Free until August 3! The updated Bylaws approved by the general membership of Rope Skipping Alberta at the Annual General Meeting in April 2017 have officially been filed with Corporate Registry! The filed bylaws can be accessed at on the RSA website or by clicking here. Many children develop performance anxiety in sport, in school, and other domains. This guide geared towards coaches and parents outlines what should be done to help kids with performance anxiety. It covers what performance anxiety is, how it manifests itself, why it may be happening, and how to help athletes cope with it. Jump Rope at the Calgary Stampede. Yahoo! Skip Time put on an amazing performance during the Calgary Stampede. Performances at the Alberta Children's Hospital and prelude to the Stampede Parade. Skip Time was joined by guest skippers from Calgary Jump Crew, Alleycatz, Camrose Spirals, Okotoks Da Feet and Fort Saskatchewan Ignite. A total of 33 skippers from all over the province representing our sport. They even made a short appearance on the CTV News here (1:05 min). As shared by the Sport Information Resource Centre (SIRC), 70% of kids drop out of sports by age 14. While there a number of reasons this happens, parents play an important role in promoting enjoyment of sport, teaching their kids valuable life lessons, and ultimately, keeping their children in sport. This list of 5 Ways to be a Great Sports Parent can help parents to prevent things like burnout and negative behaviours and attitudes.